Step 2. 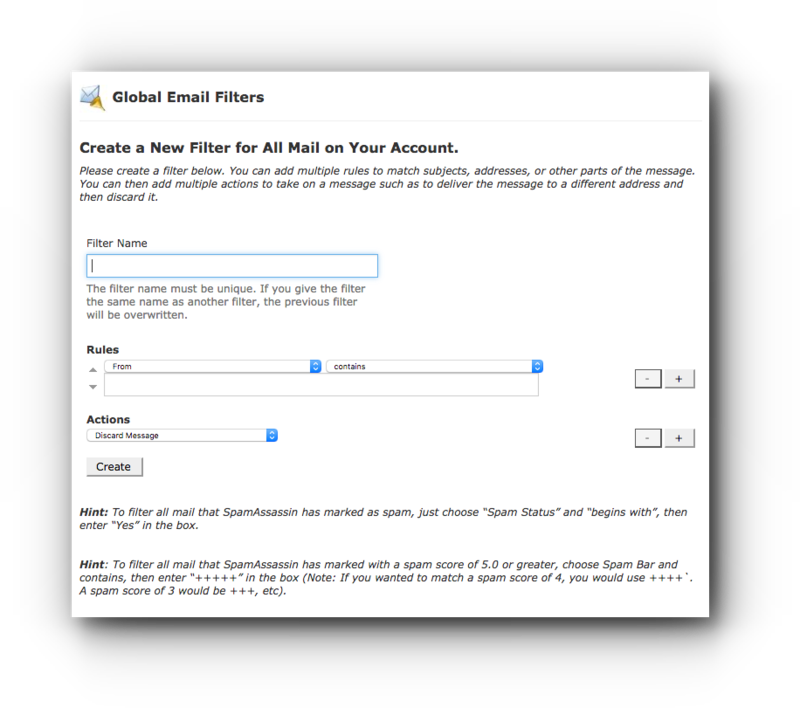 Click on Global Email Filters under Email panel. Step 3. Click on Create a New Filter button. Step 4. Enter the Filter Name in the empty field. Step 5. Choose what type of rules you want to use. To The email address to which the sender sent the email. Reply The email address at which the sender receives replies. Any Header Any part of the email’s header. Any recipient Any recipient of the email. Has not been previously delivered Emails that are still on queue. is an Error Message Error messages that are detected by the system. Spam Status Check SpamAssasin filter. Spam Bar Based on the Spam Bar (+) that is set in the SpamAssasin filter. Spam Score Total number of plus signs (+) in the Spam Bar value, expressed as an integer through SpamAssasin. contains Contains the keywords that you define. 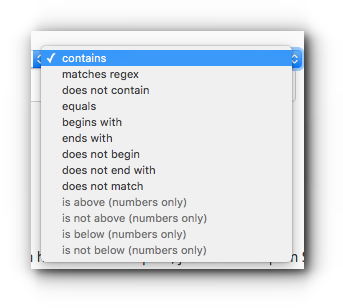 matches regex Emails that matches to the regular expression that you define. does not contain Email does not contain the defined keyword. 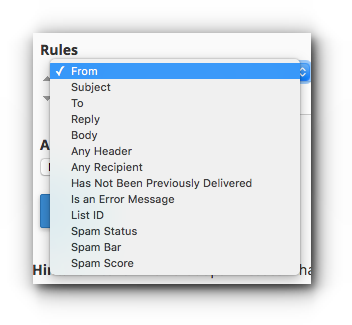 equals Email exactly matches a defined keyword. begins with The email begins with the defined keyword. does not begin The email does not begin with the defined keyword. ends with The email ends with the defined keyword. does not end with The email does not end with the defined keyword. does not match The email does not exactly match the defined keyword. Discard Message The system discards or deletes the incoming email with no failure notice. 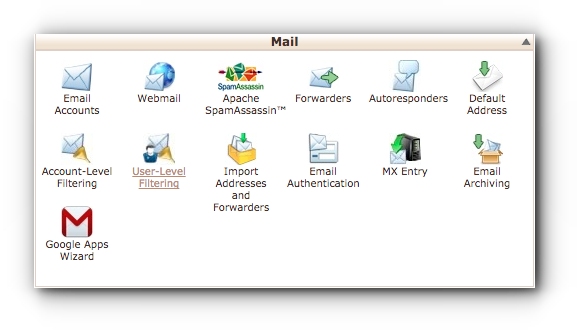 Redirect to email The system forwards or redirects the email to another email address that you specify. 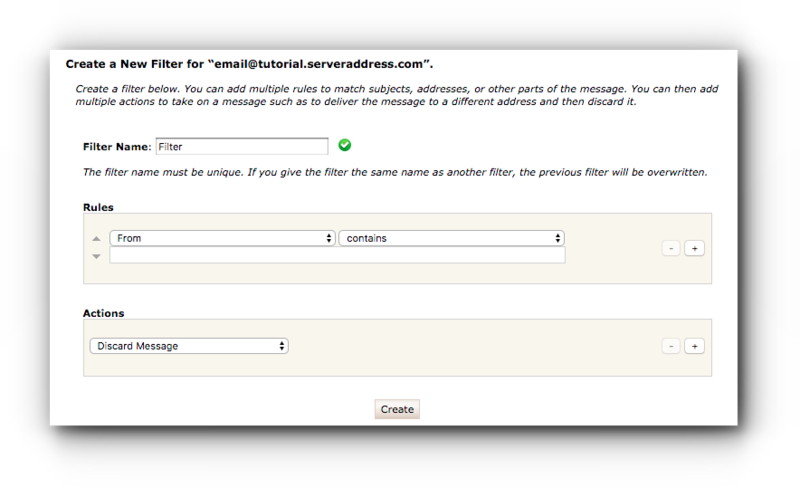 Fail with message The system discards or deletes the email and automatically send a failure notice to the sender. 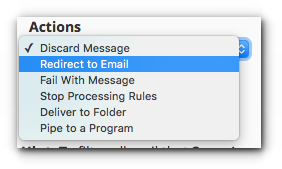 Deliver to folder The system delivers or moves the email to a specified folder. Pipe to a program The system sends the incoming email to a specified program. Step 6. 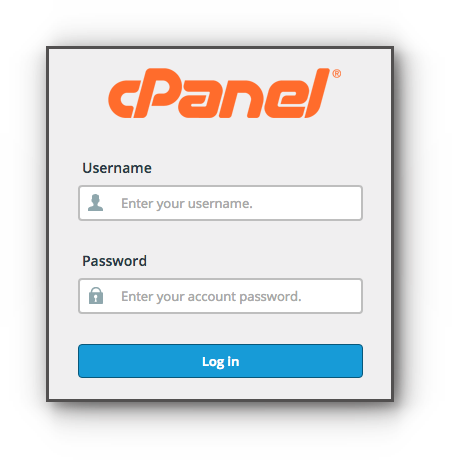 Click on Create button to save changes. Step 5. Enter the filter name. Select Rules and Actions. Step 6. Click Create button.